It’s here! 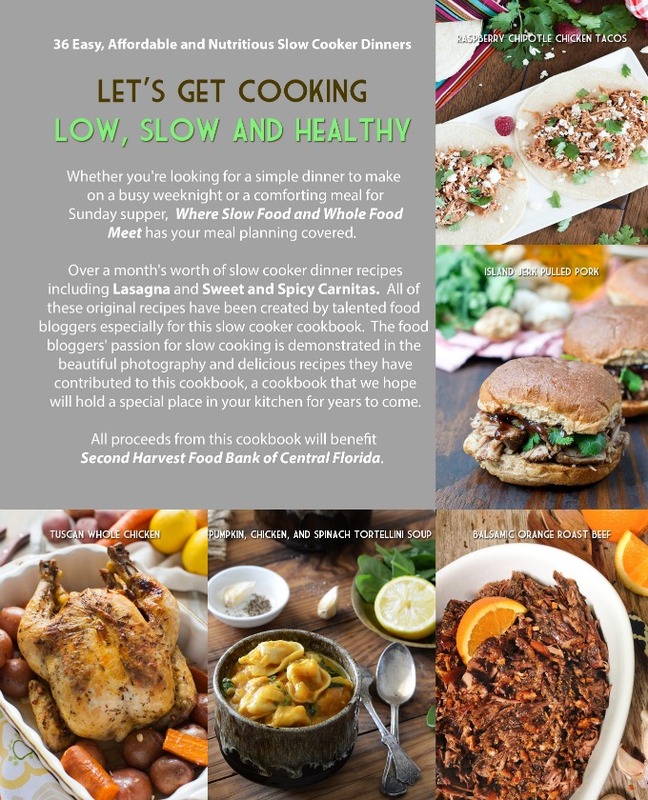 Get your FREE copy of Where Slow Food and Whole Food Meet: healthy slow cooker dinners from our kitchens to yours, or purchase a print copy and help a very important cause! I am so excited about today! I have been waiting for this day to come for months! If you follow me on Facebook, last week I finally announced what I have been up to these last few months. I have been co-editing this gorgeous cookbook with my pal Christine from Cook the Story. 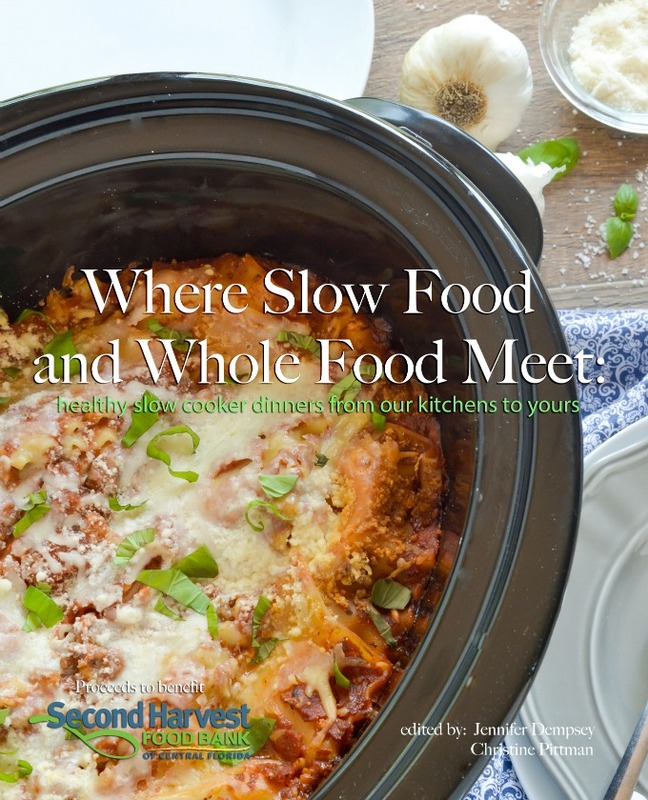 Where Slow Food and Whole Food Meet: healthy slow cooker dinners from our kitchens to yours includes 36 exclusive slow cooker recipes from over 30 of our favorite food bloggers! Not only does this book include delicious recipes, but we have also added tips and ideas to get the most out of slow cooking. A big thank you to these amazing food bloggers for contributing each of these recipes to this amazing cookbook! 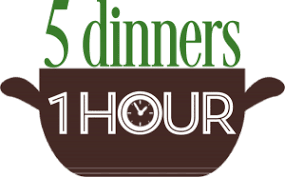 From Food For Fiesta to Take Out Night favorites, Where Slow Food and Whole Food Meet includes easy and affordable slow cooker recipe for you to enjoy each night of the week! Are you ready for the best part? 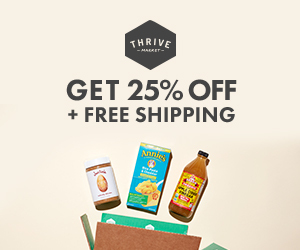 The book is FREE for simply subscribing to the NEW Mother Thyme Newsletter! 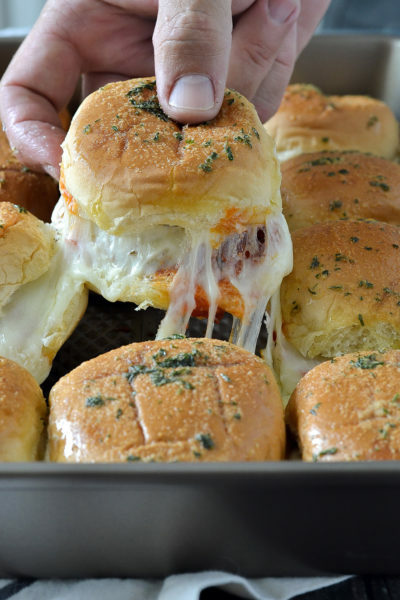 MT is finally doing a weekly newsletter that will be filled with the latest recipes on MT along with cooking tips, ideas and exclusive recipes and giveaways for newsletter subscribers. Once you subscribe to the newsletter, you will receive this beautiful ebook in your Welcome email. It’s as easy as that! Click HERE to subscribe today! We are also thrilled to be offering print copies of this book available on Amazon. All the proceeds go to a very important cause, hunger. 46 million people in the United States deal with hunger issues, including 12 million children and 7 million seniors. September is Hunger Action Month, a nationwide campaign mobilizing the public to take action on the issue of hunger. We’ve been mobilized and we’re hoping to mobilize others. We wanted to help in a BIG way, so here’s what we’ve done. All of the proceeds from the print copy of the book are going to the Second Harvest Food Bank of Central Florida. Buy it HERE! In addition, Feeding America food banks from across the country are giving the ebook version as a free gift to their donors. If you make a donation you will be given the ebook as a free gift. Donate right now and get your free ebook by clicking HERE. I am truly honored to be part of the cookbook and to help bring awareness to this important cause. To help get the word out about hunger in America and our cookbook, some generous sponsors have jumped on board. Together, San Miguel Produce, Grimmway Farms and Old Oak Farms by RPE Produce are making some big contributions to help end hunger. They are each contributing food to their local food banks AND they are giving $5 for every print copy of the book that we sell up to $600 each. That’s in addition to the proceeds from the book that are already going to the food bank! You get a book and you get to help end hunger in America in a big big way. These sponsors, along with Hamilton Beach, have put together some amazing giveaways to help you get excited about this book! 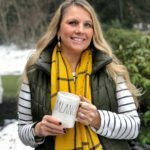 Each blogger listed above is giving away 2 copies of the cookbook plus many of them are giving away a Hamilton Beach Set & Forget® Programmable 6 Quart Slow Cooker! And there is more! Along with the giveaways galore of cookbooks and slow cookers, Christine and I are also giving away one prize of free carrots for a year from Grimmway Farms, one prize of free greens for a year from San Miguel and a potato prize pack from Old Oak Farms by RPE Produce including 40 pounds of potatoes and 1 Bamboo Bowl, 1 cutting board, 1 pepper mill, 1 measuring spoon set, 1 recipe booklet, 1 about potatoes booklet! Click on the entry form below for your chance to win this amazing giveaway and make sure you visit the blogs above for more even more chances to WIN! Come chat with us on Twitter! To help get the word out about hunger and how our book is helping, we’re having a bunch of twitter parties. Print copies of the cookbook will be given away at all of them and some will have extra prizes as well. There will even be yet another slow cooker given away at one of these parties! We will also be joining Courntey Crozier, a former contestant from The Biggest Loser, for her weekly #justcrunchem twitter parties on September 11th, September 18th and September 25th from 8-9pm Eastern. To celebrate the launch of Where Slow Food and Whole Food Meet, most of the recipes featured on MT this month will be slow cooker recipes! Slow cooking is a quick and easy way to prepare dinner. It is truly set it and forget it! 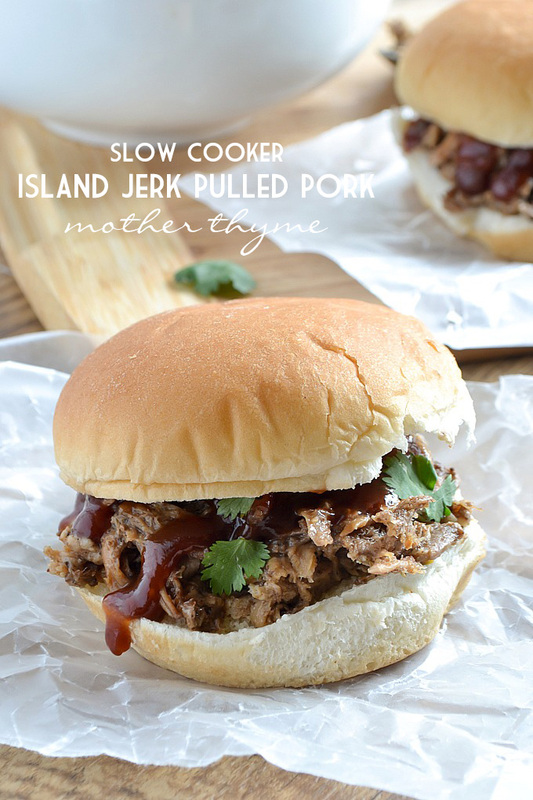 To kick of slow cooker month and the launch of the cookbook, I am excited to feature the Island Jerk Pulled Pork recipe from our cookbook. 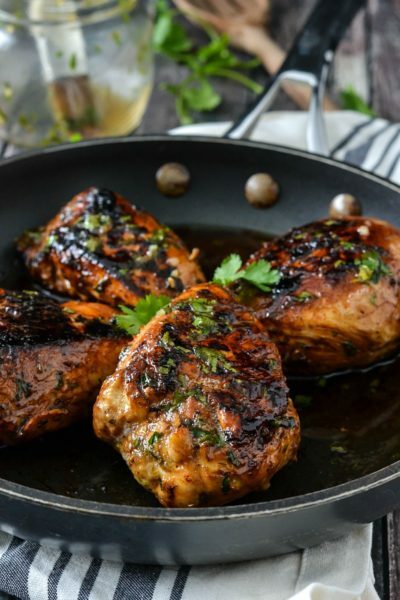 The recipe was created by Jill Holland, the Chef Instructor for Second Harvest Food Bank of Central Florida and Sous Chef of Catering for Good. 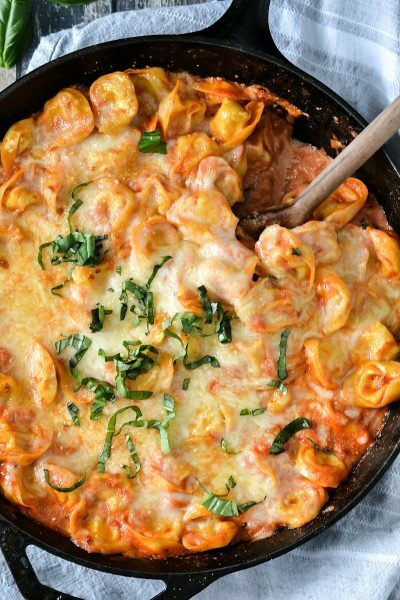 This recipe is so easy to make and is full of flavor! 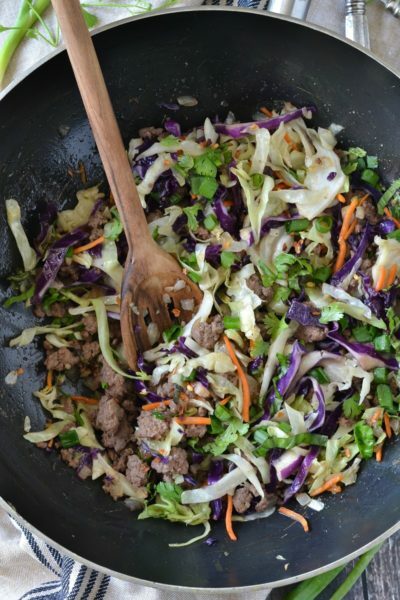 Wait until you try this, along with all the other amazing recipes in Where Whole Food and Slow Food Meet! In a small bowl combine onion powder, garlic powder, cloves, ginger, allspice, thyme, dry mustard, salt, paprika, cumin, sugar, black pepper and cayenne. Use fingers to rub spices together to ensure that ginger is dispersed throughout. Rub spice mixture all over pork. Put the pork in the slow cooker fat side up. Pour apple cider over pork and add bay leaf. Cook on low for 8 hours. 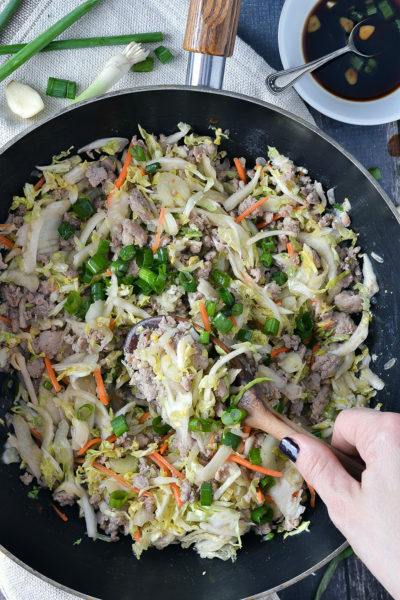 Remove pork from slow cooker. Use two forks to shred meat. Skim fat off liquid in slow cooker. Drizzle a few tablespoons of the remaining liquid over the meat and mix to combine. 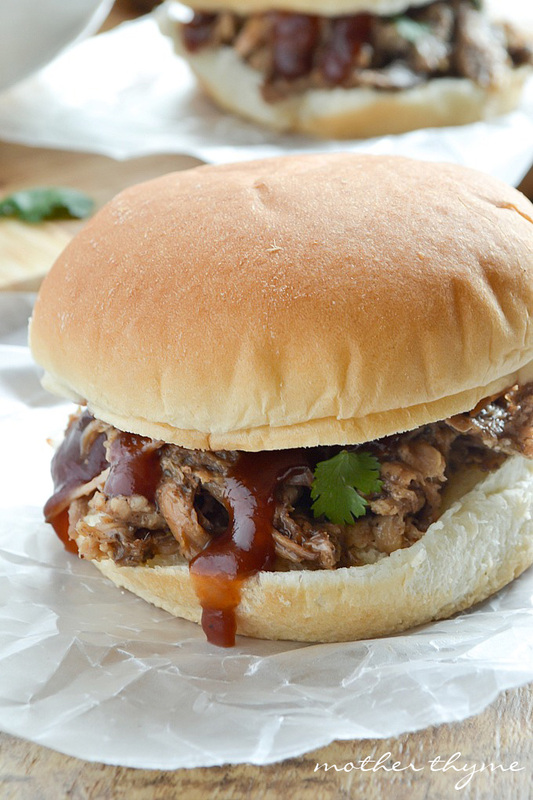 Serve on a bun as-is or slathered with your favorite BBQ sauce and sprinkled with fresh cilantro. I would like to thank my partner in crime, Christine from Cook the Story for working on this book with me. If it wasn’t for her, this book wouldn’t have happened. Melinda and the entire staff from FullTilt Marketing. We couldn’t have done this without you! Our sponsors, Grimmway Farms, San Miguel, Old Oak Farms by RPE and Hamilton Beach. Thank you all for your support and generous donations! And of course our talented food bloggers that not only contributed recipes to the book but that have taken so much time to help bring this book to life! Thank you! A huge thank-you to you and Christine for all the hard work you put into this project, Jennifer! You ladies are incredible and I’m honored to be part of it. Thank you Faith! We are so happy you could help us collaborate! I will help spread the word! I donate to local food bank to help. Jennifer – thank you and Christine for pulling this all together for such a great cause, and thank you for including me. If we all do a little something, we can make a difference. WE DID IT!!! I can’t believe it’s done and that it’s so gorgeous. You are such a talented woman and your skills with the layout and design show stunningly from every page. It was amazing working with you on this!! Thanks Christine! I’m so happy and proud of the way it turned out. You are one talented cookie, my friend! To help end hunger I donate to our local shelter and help in gathering canned goods from our community. Your dish looks fantastic! That drip…oh my. Thank you so much for doing this, and for including us in the project. It is our pleasure to support such a worthy cause. Thank you! 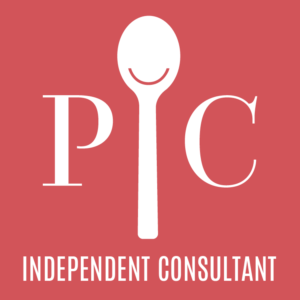 And thank YOU again for sponsoring the cookbook! My family has been working with our church family collecting a pantry and donating food items, time, services and money to our local food bank. It’s been a wonderful experience. It’s very humbling and also a great learning and teaching tool…not just for the kids, but the adults too! Sometimes we forget and take for granted how blessed we are with such a simple thing as a hot meal yet so many people don’t have that necessity on a regular basis. Thank you so much for including me in this very worthwhile project, Jennifer. Proud to be in such great company! Oh please include me too! It’s so exciting! I donate to the local food bank. Thanks..I will also help spread the word for your area..I also help food banks here in South Florida area! 🙂 Just a heads up I tried to follow the link to like Grimmway Farms..that link is broke for me..soooo..I went to facebook and there are two Grimmway Farms..so, wasn’t able to like as not sure which one? 🙂 Thanks again. ok..I figured out which is the correct farm..but, link was still not showing for me (broke?) therefore, I submitted as I did like them??? We leave bags of canned food at the fire department in our neighborhood and they distribute it. I wish they could handle fresh food, but they can’t. Also, many many congratulations for this huge accomplishment, and triumph! donating food to a food bank! I help end hunger by donating canned food and promoting events and fundraisers to help end hunger in my community. We donate to the local food bank regularly.